There's no single criterion for what makes a great airline, but rather, a multitude. (For starters, try not to do this.) Whether or not there’s complimentary snacks is certainly a pressing concern, as is the fleeting amount of leg room available in every economy cabin designed in the history of commercial aviation. While there are a few domestic carriers that consistently earn plaudits from travelers -- we’re looking at you Alaska Airlines, Southwest, and the flash-sale fanatics at JetBlue -- a new survey conducted by Travel + Leisure suggests that another major carrier is still one of the most respected and generally pleasant to fly with: Virgin America. Just one appendage of British tycoon Richard Branson’s mega-empire, Virgin America not only promises laudable customer service, but a nice ambiance and an a glut of entertainment to assuage the typical drudgery of flying. 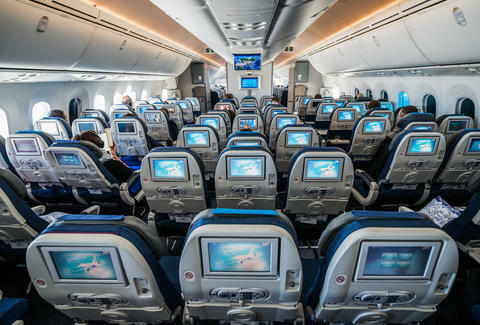 Part of the publication’s World’s Best Awards, which surveys readers on the best hotels, islands, cities, cruise lines, airports, and more, the vote tally on the country’s best airlines hewed closely with other recent surveys. Some T+L readers lamented Virgin America’s recent sale to Alaska Airlines, which occurred last December and cemented Alaska’s place as the fifth largest US carrier. But given Alaska’s already gleaming reputation, Virgin America fans probably shouldn’t have much to fear. After all, the airline earned the number one spot in a different survey earlier this year.